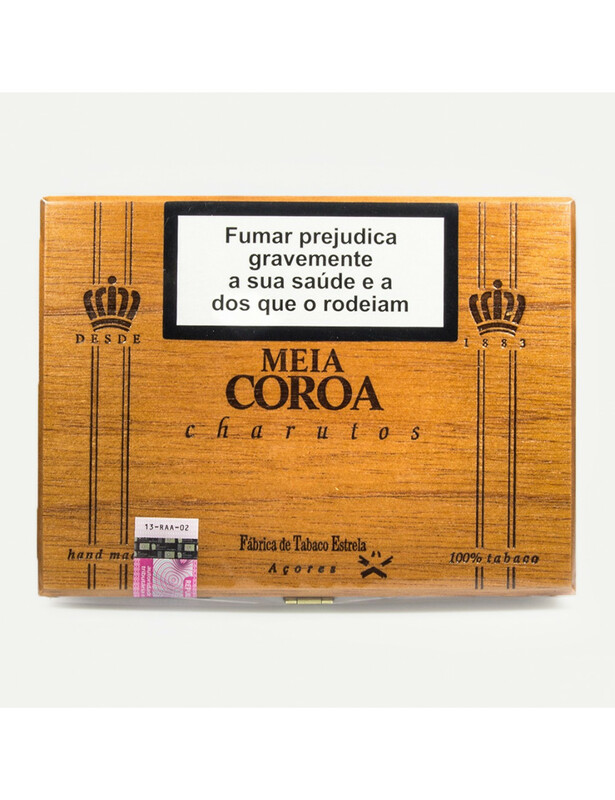 "Meia Coroa" Cigars, handmade in the island of São Miguel. The cigars and cigarillos from the "Estrela" tobacco factory, founded in 1882, are known to be hand-rolled, a rarity in the world and especially in Europe, where only the Canaries produces this type of hand-rolled cigar. Moreover there is also the blend of tobacco leaves from various places, a mix which gives them a unique flavor to the connoisseurs´ preference. The tobacco leaves, preserved at a proper moisture, come from Cuba, Brazil, Dominican Republic, Santo Domingo, and Indonesia, particularly the islands of Java and Sumatra. Composition: Connecticut wrapper, inside wrapper and filling made of Cuban, Dominican and Bahia-Brasil tobacco leaves, one of the best in the world.